Two of the UFC's biggest stars added another shining moment to their resumes on Wednesday night. 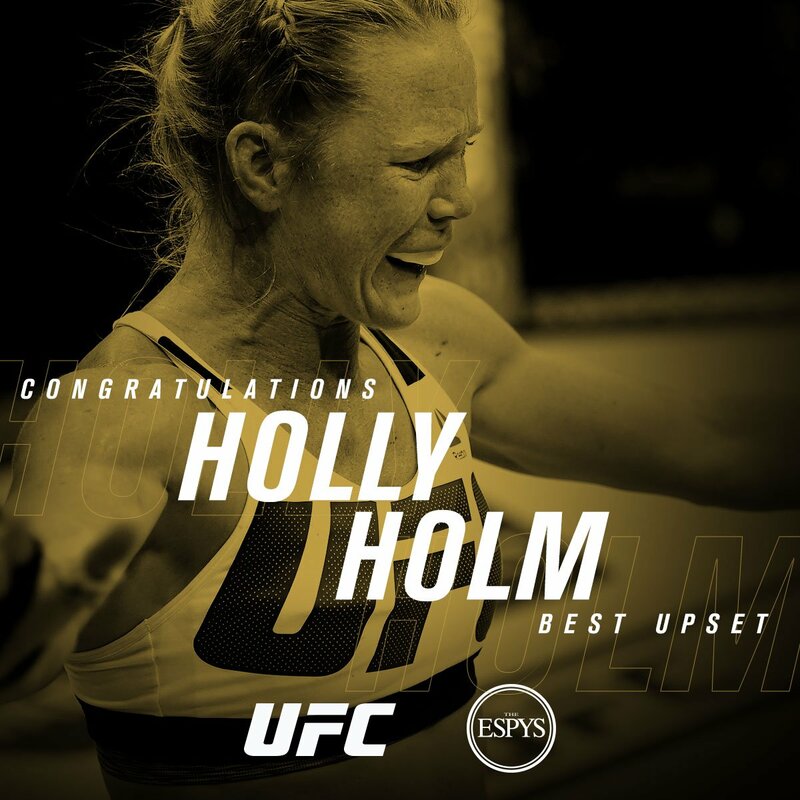 UFC featherweight champion, Conor McGregor, and former UFC women's bantamweight champ, Holly Holm, each earned victories at the ESPYS - ESPN's annual award show recognizing the greatest athletes in the world. 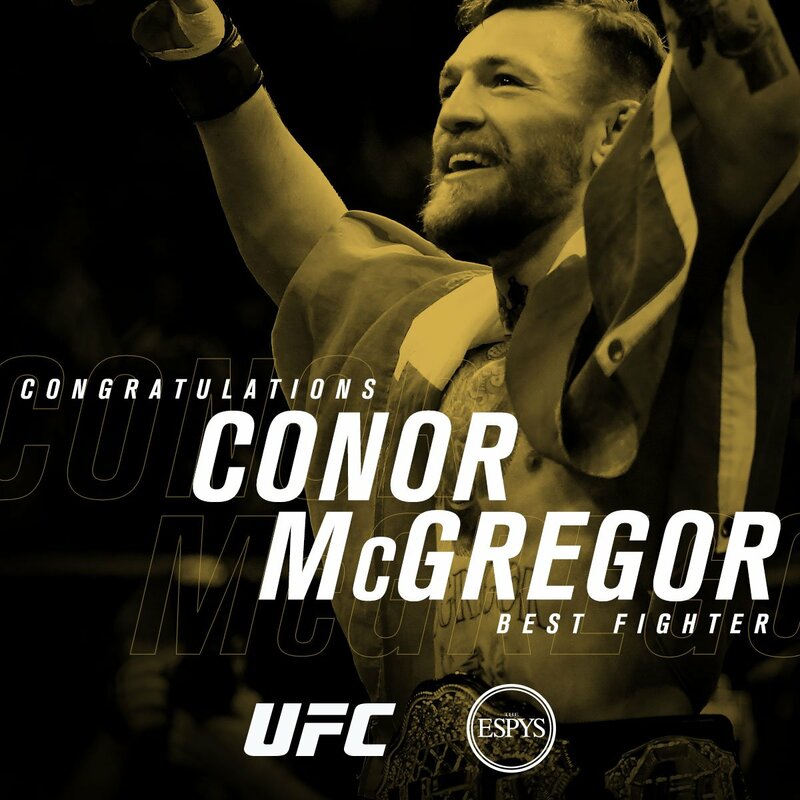 McGregor won for best fighter and Holm won best upset for her historic victory over former champ Ronda Rousey. Both fighters return to the OCtagon in the coming weeks. Holm takes on Valentina Shevchenko in the main event at Fight Night Chicago on July 23 on FOX. McGregor meets his newest rival, Nate Diaz, in a rematch at UFC 202 on August 20 in Las Vegas.